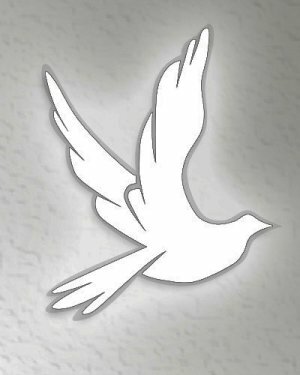 Obituary for Nicholas DelValle, Jr. | Cramp-Hummel Funeral Home, Inc.
Nicholas DelValle, Jr., 64 of West Lawn, passed away on Dec 4th in Lehigh Valley Hospital, Cedar Crest. He was the husband of Jeanette A. Carlo-DelValle. Born in Bethlehem, he was the son of the late Nicholas Santana DelValle and the late Amparo Camacho DelValle. Nicholas was a hardworking, dedicated, family man who loved collecting Harley shirts and was most remembered as being a father to anyone he met. Surviving in addition to his wife are his children, Apollonia N. Fuller, Rogers, AR, Oriana N. DelValle, St. Louis, MO, Clinton Harakal, Reading, PA, Joseph Carlo, Reading, PA, Matthias T. DelValle, Reading, PA; brothers and sisters, Carmen Perez Menary, Mamaroneck, NY, James DeValle, Lakewood, NJ, Thomas DelValle, Orlando, FL, Phillip Ziegler, Macungie, PA.; 4 Grandchildren, Dante, Jace, Jagger, Devyn. A viewing will be held on Saturday from 2:00 to 3:30 PM in the Cramp-Hummel Funeral Home, 934 Centre Ave., Reading. Interment will be private. In lieu of flowers memorials may be directed to any of his family members. Online condolences may be shared at www.cramp-hummelfuneralhome.com. CRAMP HUMMEL Funeral Home, Rt 61 Centre Park, Reading has charge.